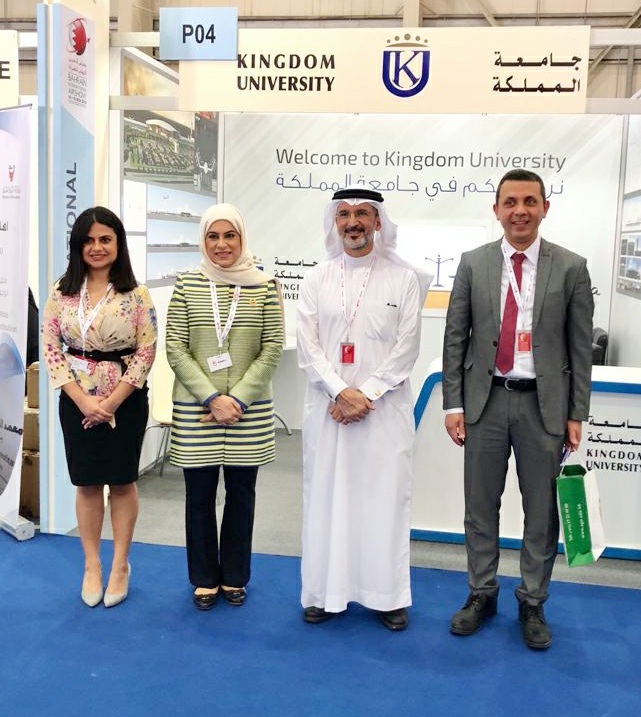 Kingdom University participated in the fifth edition of Bahrain International Airshow 2018, which was held under the patronage of His Majesty King Hamad bin Isa Al Khalifa from 14-16 November 2018. The participation was part of the joint cooperation between the Ministry of Transportation and Telecommunication and Ministry of Education. Where the University presented a graduation project for one of the Architecture student, which included an integrated design of Bahrain International Airport with a different engineering vision that combined between the originality and modernity at the same time. This initiative comes from the University’s interest to involve the graduates in the great events of the Kingdom, as well as achieving the objectives of the exhibition and encourage investment in education and to be up to date with the latest technologies in the field of aerospace engineering and space science. Kingdom University also expressed its thanks for the efforts made by the High Organizational Committee of the Bahrain International Airshow, chaired by HH Sheikh Abdullah bin Hamad Al Khalifa, Personal Representative of HM the King, to achieve the greatest possible benefit to the various segments of society and to enhance the experiences of young Bahrainis to enable them to contribute to the future professional decision-making process.